Academies are our special industry-focused programmes which run over 1 or 2 weeks and aim to get you up-to-speed for your chosen career path, potentially including an interview with a local employer on completion of the course! All academies run from 9.30 - 4.00pm. Information Sessions available in Torquay, Newton Abbot & Paignton to help you plan your best way forward. You will need to book in by calling 01803-551551. Fridays 10.30am – 3.30pm. Lunch is served at 12.30pm. Main Course & Pudding plus Tea/Coffee for just £6. Ring 01803-551551 to find out more. A great preparation for looking for work in the thriving Care sector. Discover the Principles of Care and basic hygiene regulations. The customer is king - and this course will help you polish and demonstrate your customer service skills, giving you a head-start for a career in a shop environment. If your job is to eat a frog, it’s best to do it first thing in the morning. And if it’s your job to eat two frogs, it’s best to eat the biggest one first. We are a Community Interest Company based in Southern England, working across Devon, Cornwall, Somerset & Wiltshire. Our aim is to help those who may not be comfortable in a traditional learning environment, or may have missed opportunities in life due to educational, social or emotional circumstances. We offer bespoke educational provision for young people with Special Educational Needs (Autism, Asperger’s, mental ill-health etc) and we now have direct contract status with the Education & Skills Funding Agency which enables us to offer further opportunities to everybody. With our small group sizes, dedicated tutors, 1:1 mentoring and bespoke programmes, we can offer the personal support and guidance that many larger institutions are simply unable to provide. As a result, we have a proven track-record of helping learners who have not succeeded in other environments. 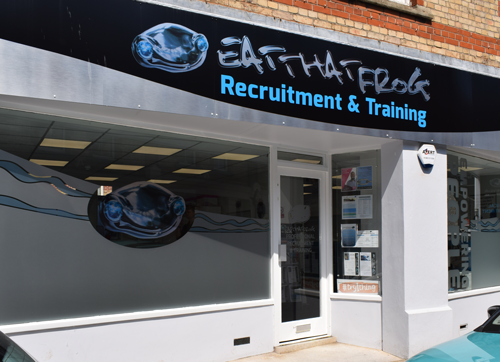 We work closely with local authorities and learners with Educational Health Care Plans (EHCP’s) to agree on a package of bespoke learning, which suits the special educational needs of each student that are going to be continuing their education with Eat That Frog. If you would like to access this service, please contact Gail Rochelle on 01803-551551, who will provide Information, Advice and Guidance on the next steps and can also arrange a taster session at one of our centres if required. You don’t have to be a Student or enrolled on one of our courses to take advantage of our facilities. 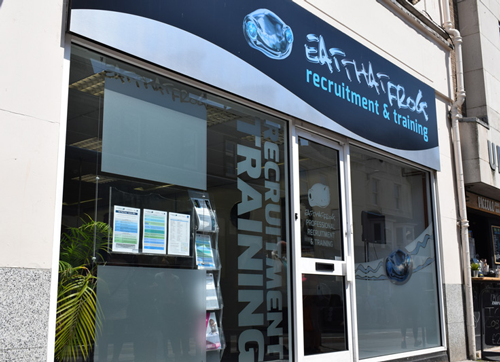 We have Drop-in Centres at Torquay, Paignton and Newton Abbot where each has dedicated computers you can use to search for work – COMPLETELY FREE. 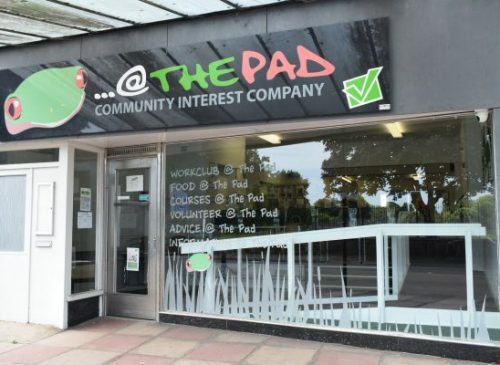 You’ll get free internet, free tea and coffee and free registration, so pop along to your nearest centre where we’ll be pleased to welcome you. Please click on the ‘Finding us’ link above for directions.